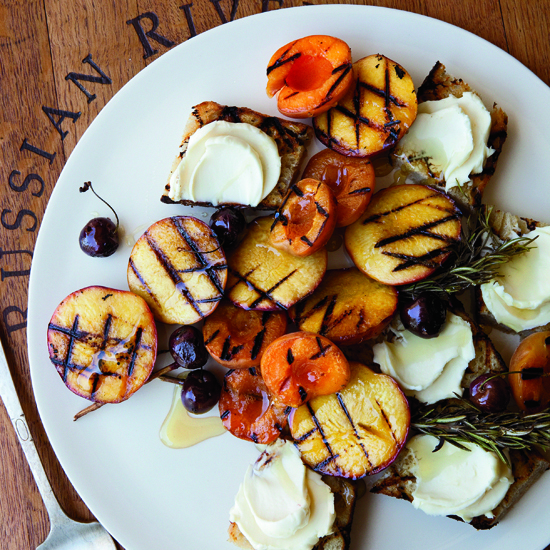 These fantastic recipes include banana-Nutella s'mores and grilled pound cake with peaches and cream. 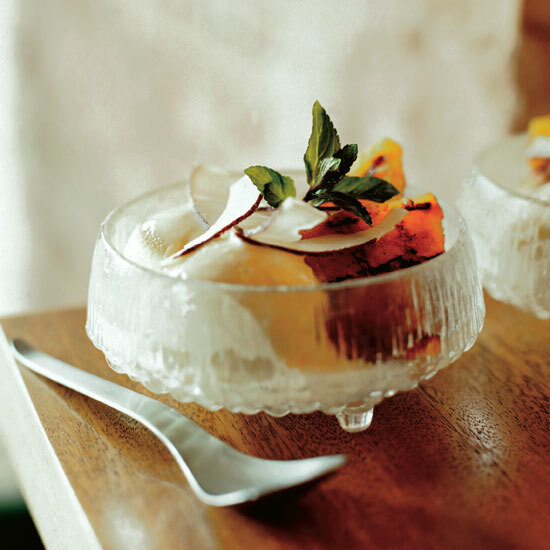 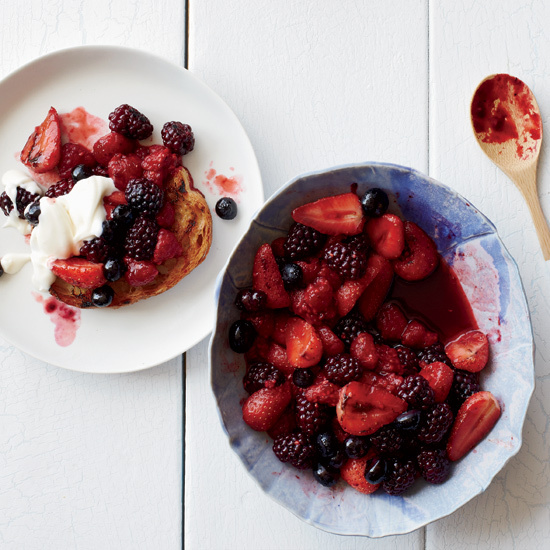 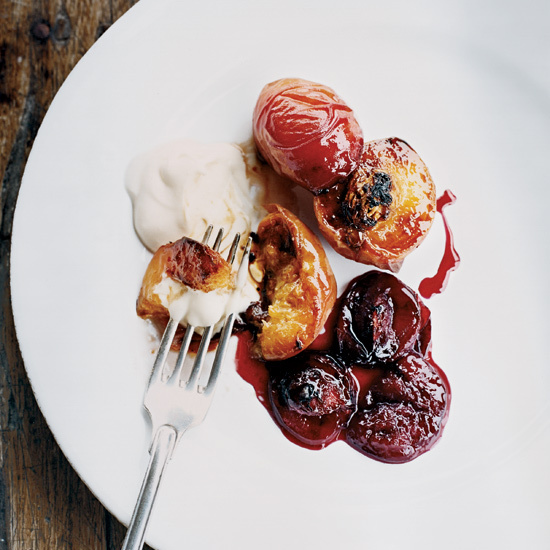 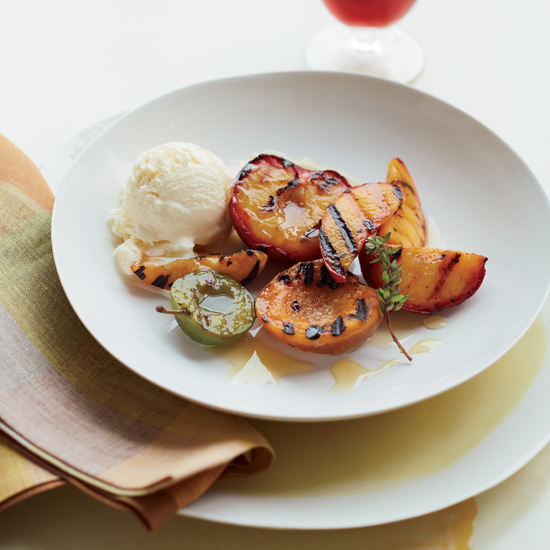 For this super-simple summer dessert, chef Dan Barber infuses honey with lemon thyme vinegar, then drizzles it over grilled summer fruit. 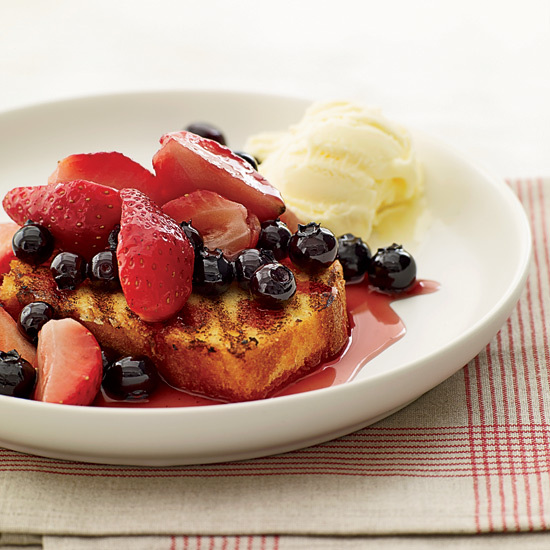 Chef Bryan Calvert loves the versatility of his supermoist lemon pound cake: He uses it to make everything from French toast to a stuffing for baked apples. 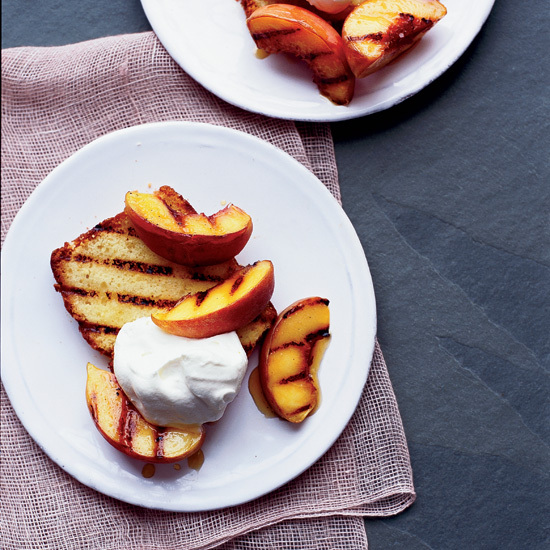 At this time of year, he grills it until crisp and toasty, then tops it with warm, tender grilled peaches and whipped cream. 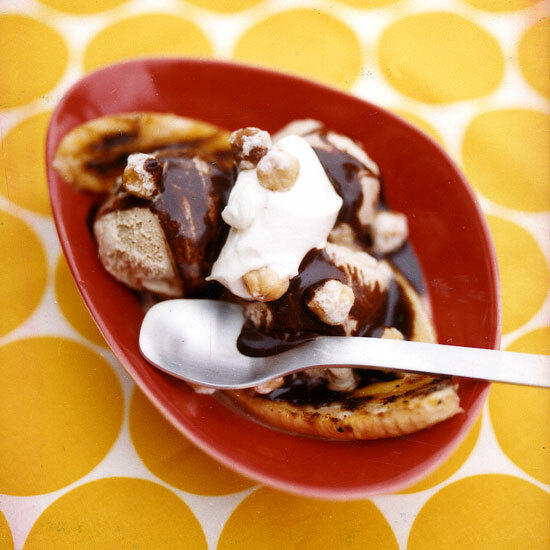 Pastry chef Johnny Iuzzini describes his home cooking as “lazy.” For these splits, he marinates bananas in rum, coats them with sugar and grills them until the outsides get hard and crackly. 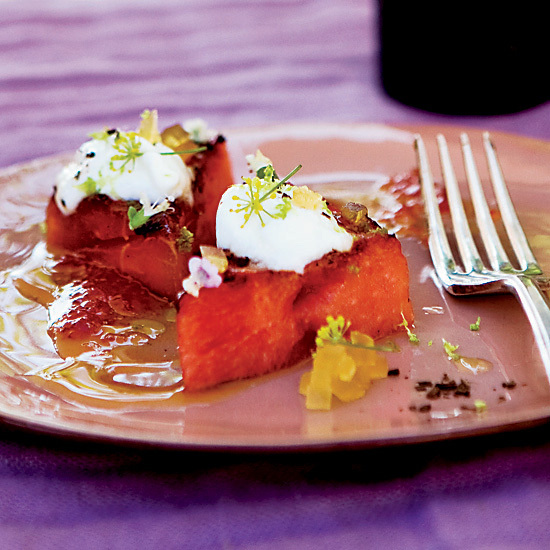 This is Michael Psilakis's modern take on the traditional Greek combination of watermelon and feta cheese. 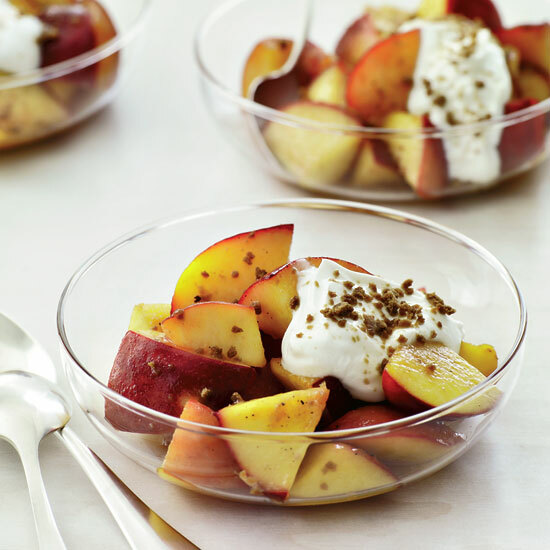 It features the creamy yogurt he grew up eating. 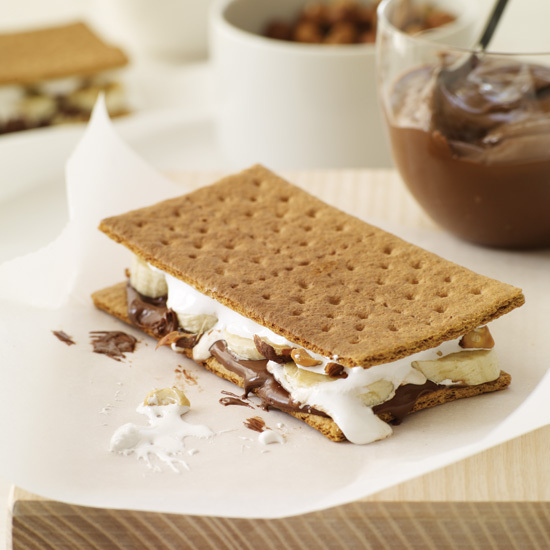 “My s’mores are much less crumbly than the graham-cracker kind,” says Grace Parisi. 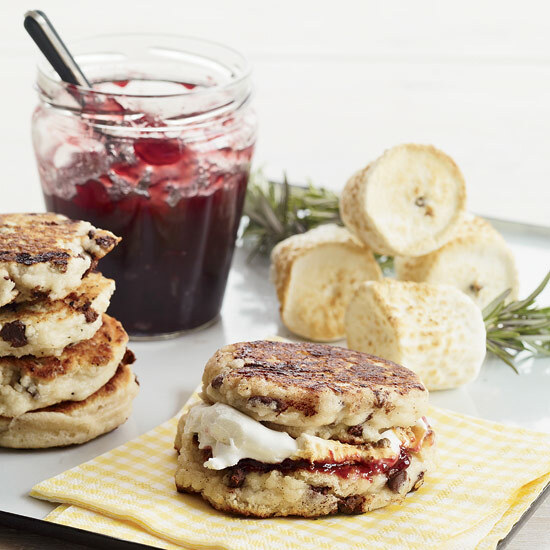 Her hearty twist is made with chocolate-studded biscuits, tangy raspberry jam and smoky marshmallows.